Travel Find: The Perfect French Bakery | Oh, hello thirty. I’m spending the next few days in New Orleans visiting one of my best friends. I just adore this city. NOLA often feels like it’s own nation, complete with it’s own traditions, it’s own symbols, and even it’s own language, Who Dat?!? Lucky for us, they also have their own vibrant culinary tradition. Po-Boys, gumbo, beignets, crawfish and french pastries, oh my! I love wandering around the city, taking in the semi-tropical feel and eating, eating, eating. Today I had the perfect lunch at the perfect Frech Bakery, La Boulangerie on Magazine Street Uptown. Their selection of pastries cannot be beat. 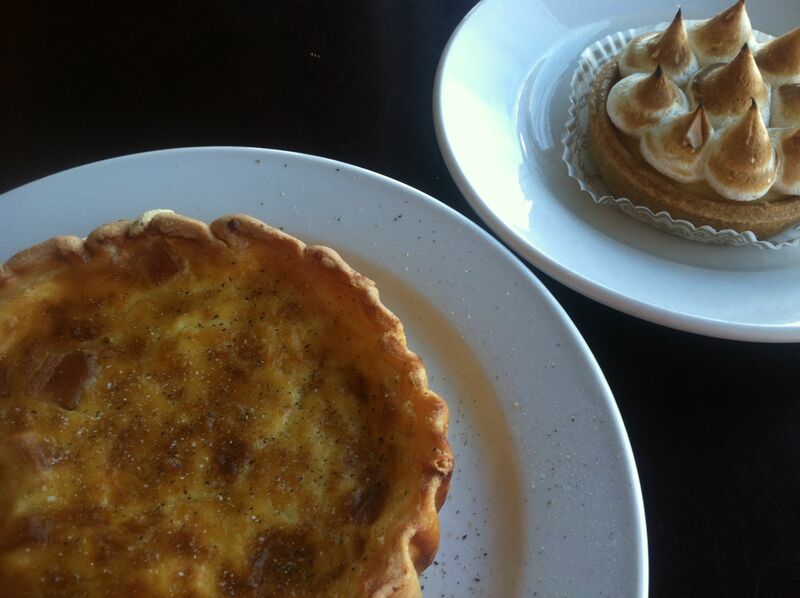 I treated myself to a quiche AND a lemon tart. Amazing. Despite the fact that I spent last weekend eating my way across Paris, I’m still a bit jealous. Crawfish etouffee is my FAVORITE. S’s mom is making crawfish etouffee on Sunday! Meanwhile I’m jealous that you have been exploring Paris!